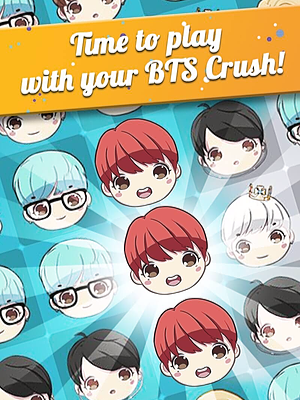 BTS Crush Saga is an amazing, new K-pop game for ARMY! Match 3 BTS members in order to clear the puzzle! Travel to the magical world of BTS to see Jungkook, Jimin, V, Suga, Jin, J-Hope and RM. 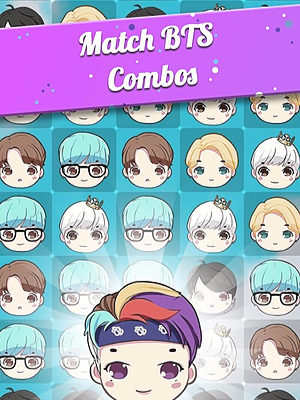 Go through hundreds of stages by solving exciting and challenging puzzles with your bias. 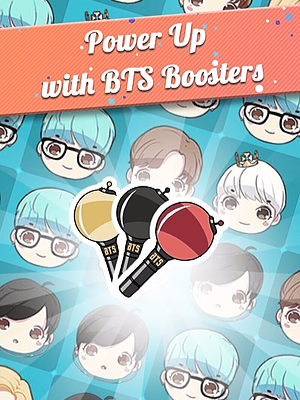 Take on the BTS adventure alone or play with other ARMYs to see who can get the top score! 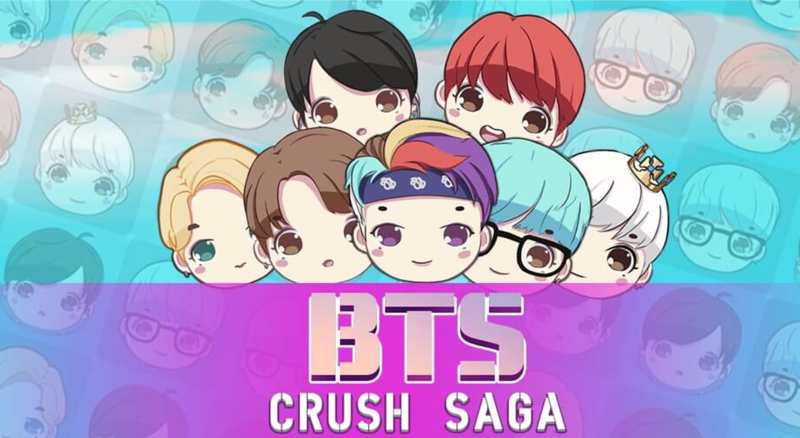 BTS Crush Saga is completely FREE to play except for some in-game items such as boosters or extra lives. *Only Available on Android right now but releasing iOS version in 5 days! Jin = black hair, Suga = blue hair, JHope = red hair. RM = muti coloured, V = White/crown, Jimin = blonde, JK = brown. omg can’t wait to download on my phone and play!